The right question at the right time can stop our negative thought patterns in their tracks. Suddenly, we see optimistic possibilities. 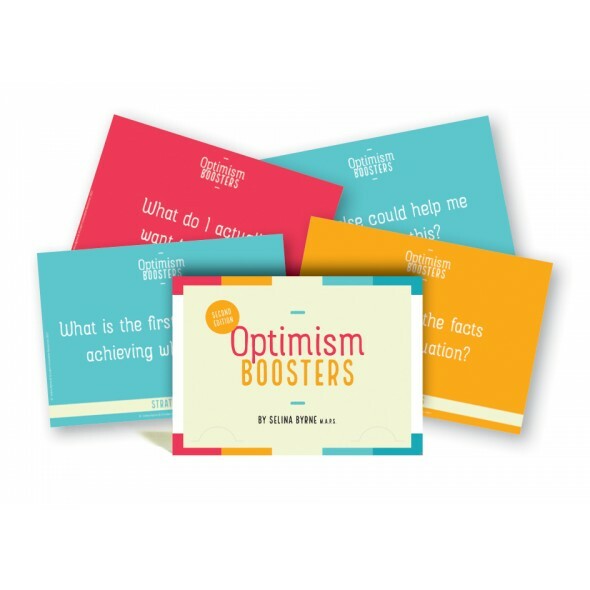 Written by a practicing psychologist, each of the 30 cards in this elegant little set creates a window into change by asking a key question. There are three suits - goals, possibilities and strategies - and ten question cards in each suit. Dip into the cards with your friends, clients or students for fresh ways of thinking about problems and decisions. Thinking of a challenging situation, select a card randomly. Does the question shed new light? Keep going until you find one that does. Write/talk about this. Choose a card from each suit (possibilities, strategies, goals). Using the questions, write a paragraph on each. Distil your thoughts into very simple sentences. Select a card that feels particularly relevant/interesting. Use it as a contemplation for the week. Ask yourself the question several times a day. Then write some very simple action points. Which questions do you often/seldom/never ask yourself? Do some always work well for you? Experiment with some unfamiliar ones.